The Children With Diabetes Research Foundation is a tax-exempt non-profit foundation that has been funding research for almost 20 years. It is exciting to note a pattern. Our grants have provided “startup” funding which has allowed the researchers to continue their important work and go on to gain additional funding and success. 2017 – $50,000 awarded to Dr. Jonathan Lakey at the University of California at Irvine. He is collaborating with researchers who have “clean/disease free” porcine islets and will be enhancing yield and encapsulation technologies and begin transplantation in humans in Argentina in 2018. The Government of Argentina is also assisting in this pilot study. If successful, a larger study will be planned. We have been funding studies in the field of encapsulated porcine islet cells for over 15 years and with each study, there has been further optimization. Our first grant was all about working together, and we worked with the JDRF to fund a study by Dr. Kevan Herold to assist with the recruitment of newly diagnosed patients. From the inception, it was the goal of Children With Diabetes Research Foundation to ensure we could work collaboratively with other non-profits towards our common goal, a cure. One of our first grants was provided to Dr. Peter Chase at the Barbara Davis Center to prove that continuous glucose monitoring could help prevent hypoglycemia and improve control. Although this first device (Glucowatch) did not survive, the study along with active advocacy at the FDA hearing by a group of friends connected through www.childrenwithdiabetes.com was persuasive and allowed for the first step towards a biomechanical pancreas, and that pathway continues to successfully develop. We are very excited about open source technology and communication and how this is catapulting us forward. We are excited about www.OpenAPS.org and #WeAreNotWaiting. Ultimately, a true cure will prevent onset in the first place. Another of our first grants was to Dr. Michael Clare-Salzer at the University of Florida at Gainesville. Over the years, we have continued to support his groundbreaking work. There is a connection between inflammation and development of type 1 diabetes, and there is epidemiologic, in vitro and in vivo evidence that the suppression of inflammation can prevent and/or delay the disease. This 15 year relationship supporting intervention projects has led to the first ever study in pregnant women and infants at high risk. The Nutritional Intervention to Prevent (NIP) diabetes was performed at 9 clinical sites and 90 infants/children participated over the past three years. Our foundation has been there throughout the process, from protocols and publications to financial support for the clinicians and recruiters. The NIP pilot study is now complete and was successful. It proved that there was compliance among the families and the substance caused a reduction in inflammation, without side-effects. We look forward to a larger study powered to make a health claim. This year, we funded follow up testing of all of the samples so that publication of cytokine and resolvin results could show that a larger study is not just possible but an amazing opportunity. We are also hoping to fund a study in high risk subjects who have tested autoantibody positive; unfortunately there is nothing else out there which would be safe, efficacious and affordable in the general population. Almost 90% of newly diagnosed people with T1D have no family history, and so a solution which could be given to the general population is the ultimate goal. The agent being studied is an algal form of docosahexaenoic acid (DHA). It is safe and affordable, and our goal is to prove that it is also efficacious. DHA has been shown to be effective in ameliorating symptoms or even causing remission in numerous related autoimmune diseases when given at high doses: Crohns, multiple sclerosis, lupus, etc. International efforts and collaboration included grants to Dr. Kjersti Ronningen in Norway for her MIDIA study which follows high risk families. She works with Dr. Lars Stene who published supportive articles about the role of Omega-3 fatty acids in Norway, and he worked in the U.S. to assist with the development of the NIP protocol. Kjersti has been interested in observations made about families of children who are told their child is autoantibody positive. When taking cod liver oil (a great source of the anti-inflammatory, DHA), the risk of progression is reduced. Our foundation recently published a web site for people to communicate their results and ideas if they are in an observational or prevention story. There is a Facebook page which has been extremely active as people share their stories related to their efforts to slow or reverse the autoantibody progression process. There are even “new-onset” diabetic stories. Long before Living Cell Technologies (LCT) became one of the leaders in encapsulated porcine islet cell transplantation in humans, Children With Diabetes Research Foundation was there to fund the research of Dr. Robert Elliott of New Zealand. He has a clean herd, free of enterovirus (PERV), and he is using neonatal porcine cells and collaborating with researchers in Italy on encapsulation. This will allow islets to sense glucose and respond without being attacked due to encapsulation. We assisted with human studies in Russia, China, New Zealand and now in Argentina which are all completed and/or ongoing. Our most recent support of their projects was to provide funding for continuous monitoring devices and sensors so that their results could be further validated. For the past decade, we have also supported similar efforts in the United States. We are very proud to have supported Dr. Bernhard Hering at the University of Minnesota. He is the ultimate collaborator; it has been a joy to experience the way he has humbly used his stellar intellect and work ethic both within his own organization and with outreach to others to lead and drive a vision for encapsulated islets. We are very proud to have played a role in funding his efforts to transplant humans with encapsulated porcine islets. He is accurate in defining the challenges ahead: supply (porcine is renewable), safety (long term goal is to avoid immunosuppression), and continued research on finding the ideal site for the transplant (working with Dr. Sutherland, they will figure it out!). In this same category, we have funded several grants at the Diabetes Research Institute in Florida (DRI). Drs. Fraker and Stabler have dedicated much of their careers to encapsulation, and this will be critical to the success of avoiding a lifetime of immunosuppression. Additionally, at the Barbara Davis Center, Dr. Boris Draznin and Dr. Ron Gill have received grants related to this goal of a “bioartificial” pancreas. Dr. Draznin led an animal study required by the FDA in preparation for porcine islet cell transplantation, and Dr. Gill was awarded funding to set up an islet cell lab at this world class facility. We were involved in the creation of a protocol and the very first funding of a ground-breaking study focused on cord blood. The cord blood was obtained at delivery from high risk infants (siblings or offspring of a diabetic). Could this be re-infused if they later became diabetic? Perhaps the cells derived prior to the attack could teach the cells causing islet apoptosis a lesson? The first newly onset child was re-infused with her own cord blood at the Barbara Davis Center. CWDRF funded the collection and storage of cord blood for many other infants, and eventually the study was completed through collaboration with Drs. Michael Haller and Desmond Schatz at the University of Florida at Gainesville. Although the long- term results did not yield what we hoped, perhaps intervention after diagnosis will take some sort of “cocktail” to yield optimal outcomes. Again, this was ground breaking research, never before conducted in a human clinical environment thanks to the CWDRF! Autologous stem cell transplantation doesn’t necessarily require cord blood or embryonic (non-self) sources). We supported a conference looking at opportunities to bank stem cells from at risk people using GCSF for mobilization. Not only could this be used in the future when a protocol is improved, but it could help if a person was to develop other conditions, i.e. cancer. Another autologous stem cell project we supported was based upon the work of Dr. Roberto Fernandez Vina in Argentina. His father passed from T1DM and his brother heads up a Red Cross stem cell bank here in the U.S. He is a cardiologist and uses autologous stem cells from the iliac crest to assist with repair after myocardial infarction. He believes the stem cells will hone in on the area of injury, and he hoped to cure diabetes in this manner. We also funded an outside researcher to travel to Argentina and evaluate his work. Again, the long term results were not as we hoped, but the subjects already had diabetes with limited C-peptide, and so the number of islet cells remaining were unknown. Working together with other organizations, the CWDRF has funded over $170,000 towards emergency supplies for diabetics with critical shortage situations. This mission started during Hurricane Katrina and continued thanks to our wonderful volunteers. There are more resources nationwide now, and other non-profits are specializing in the logistics, and so this is a less active project. We have also helped “Insulin For Life” with funding for critical shortage needs internationally. 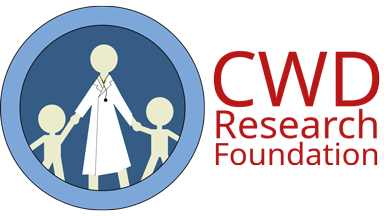 We funded a grant for the creation of two videos for school nurses and families who want to learn about both hypoglycemia and hyperglycemia. They feature kids with type 1 diabetes and their care takers and cover everything from snacks, glucagon administration and even the importance of checking blood glucose levels prior to driving for teens. We are very proud of the research we have funded and the brilliant investigators who have continued to pursue our dream of a cure! Please join our team. We are comprised of passionate volunteers. To assist us with fundraising, our volunteers have held pig roasts, bowl-a-thons, cupcake sales and much more! We are happy to provide receipts and thank you letters and notes for tax-deductibility.